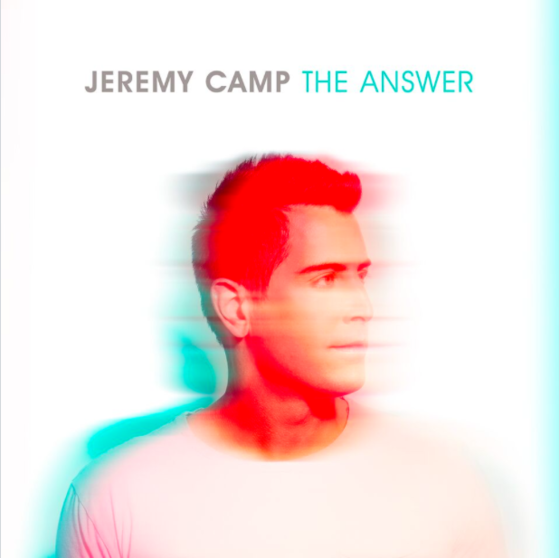 Multiple award winning and Grammy nominee artist Jeremy Camp has a new studio album titled 'The Answer'. Read More Multiple award winning and Grammy nominee artist Jeremy Camp has a new studio album titled 'The Answer'. "I can't wait for everyone to hear these songs," shares Camp "After all these years, it's amazing how the well to draw from never runs dry, when we rely on Him. The Lord continues to give deeper and deeper songs that speak to different seasons of life. With this new album, we're doing some things we've never done before. I'm releasing five songs with five different music videos for each song, before the album even comes out. And I'm definitely ready to play these songs live". According to Billboard, he has the most No. 1 songs among solo artists on Billboard's Christian Airplay chart, and all three of the singles from his 2015 album, I Will Follow, went No. 1. I can't see why that trend will not continue with these new songs. The tracks on this album are perfect for Christian Radio. As you would expect from a release by Jeremy, the tracks are full of great biblical truth mixed with Jeremy's strong vocals and some nice melodies. From there you have a sure fire hit of an album. On 'The Answer' you have uplifting tracks like 'My Defender', and then you have those big powerful deceleration songs like 'Storm' and 'Word of Life'. Then you have those intimate and creative songs like 'Never Stop Loving' and 'Heaven Shore'. From this you can tell that it's a very rounded and solid album. Yet for me they leave the best track till last. The modern and upbeat 'Love So Great' is a wonderful song and my standout moment on the album, I wish it was higher up in the track listing. Jeremy Camp fans will love this release. This is everything you expect from a Jeremy Camp release and so much more.